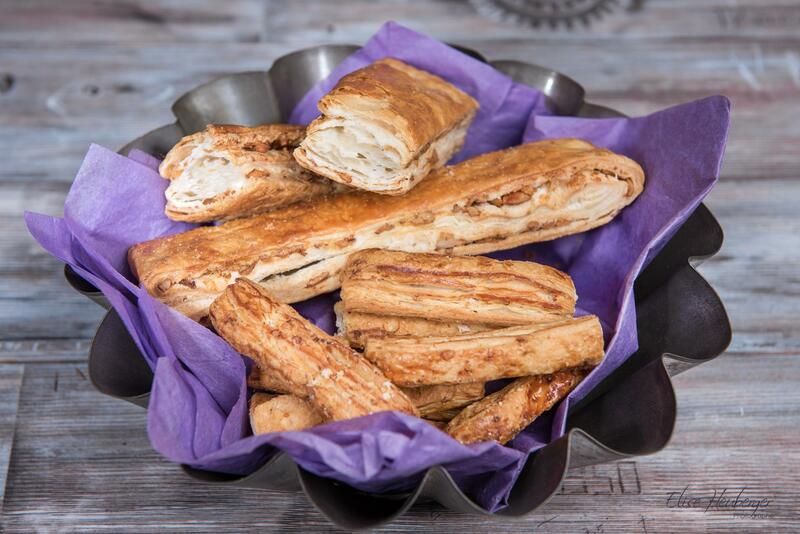 A savoury pastry flavoured with pork greubons, Taillé aux greubons is made locally and can be found in butchers and bakeries, as well as grocery stores and supermarkets. Invented by peasants in past times, this meaty snack is still much enjoyed today. Greubons, the key ingredient of the recipe for Taillés aux greubons, are the solid bits of fat left after cooking bacon in lard. In the olden days, peasants who left nothing to waste used to use greubons in various dishes, like the famous savoury pastry which is still popular today. Taillés aux greubons, made of a simple dough, come in the shape of round pebbles or strips. They’re eaten as a snack or, as an apéritif, with dry white wine, generally chasselas. Combining the skills of baker and butcher, Taillés aux greubons is sold by both of these artisans, as well as in many grocery stores and supermarkets in the region. Some adventurous chefs also use them in their cooking, to the delight of their families!